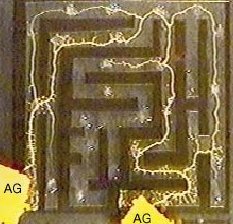 Recently it has been discovered that the True Slime Mold Physarum Polycephalum, an amoeba-like unicellular organism, is “smart enough” to solve the shortest path problem in mazes (news article). We are interested in whether slime molds can also flexibly adapt when the maze changes. We will explore this by building biologically realistic simulations of their behavior.